From now till 31 March 2012, you will be given a free Skechers bag with every (sic) PAssioncard sign-up. In addition, you will be entitled to an instant spin-and-win which gives you the opportunity to win prizes. On top of that, you will also stand a chance to take part in our *grand lucky draw. Prizes include 32 inch LCD TV, iPad 2, digital cameras and many other attractive prizes. Special Promotion for Kaki Bukit seniors above 50 years old: sign up for PAssion card now and receive a Skechers Bag (worth $69.90) and a $5 NTUC voucher (sic) (while stocks last). Alternatively, you can visit http://www.passioncard.com.sg to find out more about what our participating merchants has to offer. 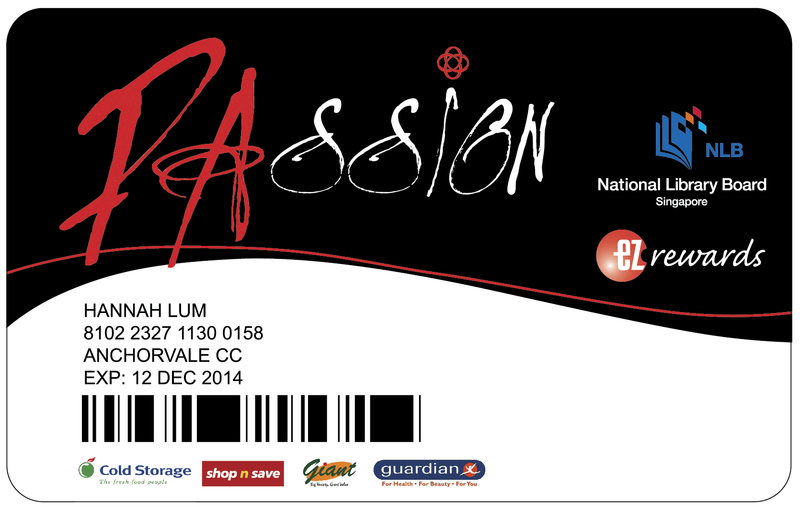 If you are interested to sign up for the PAssioncard, please drop by Kaki Bukit Community Centre, 670 Bedok North Street 3 Singapore 469627 to fill up the form. Please feel free to call us at 6445 4223 if you have any enquiries. *Grand lucky Draw is only applicable for new sign ups, draw results will be announced by (sic) the 5 April 2012. 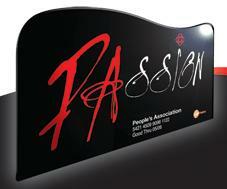 Within the family, Mom is the only one who has the PAssion card. She is currently holding the “first generation” PAssion card of old (shown above), which will be expiring this coming August. Instead of paying almost the same fee to transit from the “first” to the “new generation”, we “succumbed” to the mediocre persuasive letter. It was a bright and sunny morning. Haha, a rather common opening evident in many lower primary compositions. Bringing along the completed application form and a $10 note, I accompanied Mom to KBCC. The friendly staff couldn’t wait to present her with free Skechers Bag (choice of either Pink or Blue) as Mom handed over the application form. As the staff was keying in the particulars on the PAssion card site, a shock discovery was made! According to the Idenfication Card No. keyed in to the system, Mom has already sent in an application at MacPherson Community Club (MPCC). What a joke. Why would Mom make a special trip down there to apply when she could have done it at the nearby CC? Though MPCC was stated on her first PAssion card, which I’m clueless as to the reason why. Mom has never visit KBCC before. So, who applied on her behalf? The staff helped to cancel the first application in order to process the new application. Lapse in security or weakness of internal controls? 1. Who had access to Mom’s personal information? Are all PA staff allowed to access/obtain personal information of residents/applicants at ease anytime? 2. How could the application be processed without verification by the staff and authorization by the person concerned- given the fact that Mom’s identification card would not have been sighted at that point in time and payment was not made? 3. If the application was not made by Mom at KBCC and the PAssion card was delivered to her, what will happen if she use it? Most importantly, with regards to query no. 3, the application is currently being processed, and the MPCC PAssion card came. What should be done? Despite the above, Mom was lucky to have won a $10 Dairy Farm voucher from the instant spin-and-win. Together with the $5 Fairprice voucher, it appears as if Mom used $15 to buy vouchers and got a complimentary card.